A new graphic novel, now available on AMAZON & COMIXOLOGY! 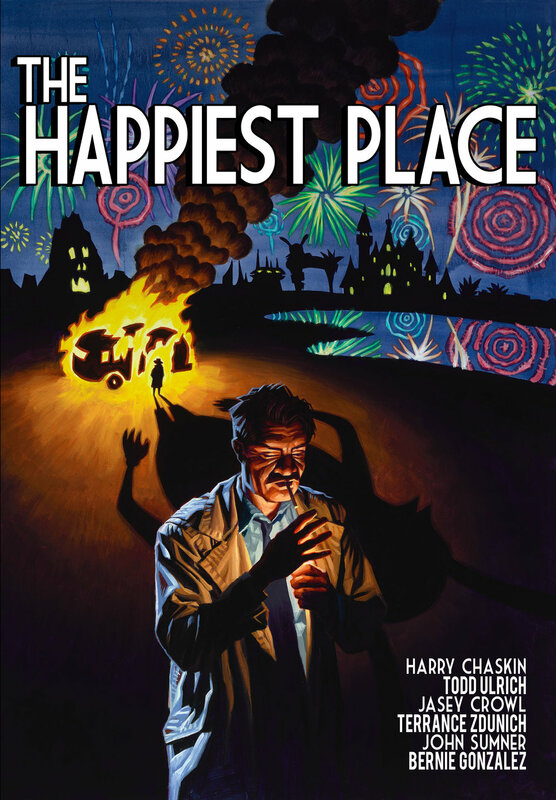 Welcome to Garveyland, ‘The Happiest Theme Park in the World!’ where frazzled families can enjoy a fun-filled day of animated escapism thanks to ace security guard Miles Manning-- A chain smoking hardass with one thumb and one job: to keep the park safe at all costs. But when Miles’ former mentor is mysteriously murdered, he decides to do some real detective work and get to the bottom of it. After all, he’s got a badge... even if it has a cartoon rabbit on it. Miles’ quest for answers draws him deep into the seedy underbelly that lurks (quite literally) beneath the park, ultimately uncovering a conspiracy that threatens his very existence. If Miles is to survive, he’ll have to face his own demons and answer the hardest question of all: Is he a company man, an artist, or a murderer?